Ahhh carb-a-licious bread, how I love thee. I could literally eat bread and bread-like substances for every meal all day errrryday. I. Love. Bread. Oh and homemade bread? Be still my heart. There really is nothing quite like freshly made, warm, crusty bread. Gosh I can literally taste it now...smelling all good and bready, covered in melty butter...maybe a slight sprinkle of sea salt. Man. Yum. My husband and I used to make our own bread pretty frequently. We were on the biggest bread making kick! Then I got lazy. Ooops. I mean, to make real bread, with yeast and all, and from scratch? That took time. 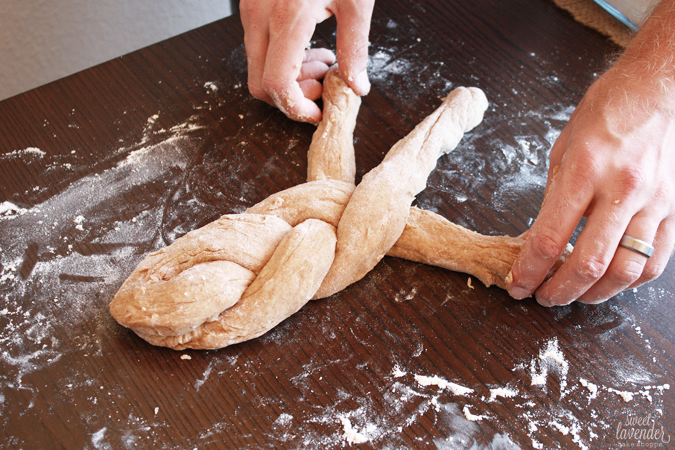 There’s the flour and the kneading and the rising times. Time hasn't been something we've had very much of these days. Seriously though, fresh made bread, homemade peanut or almond butter, and homemade jam? Best PB n J EVER. 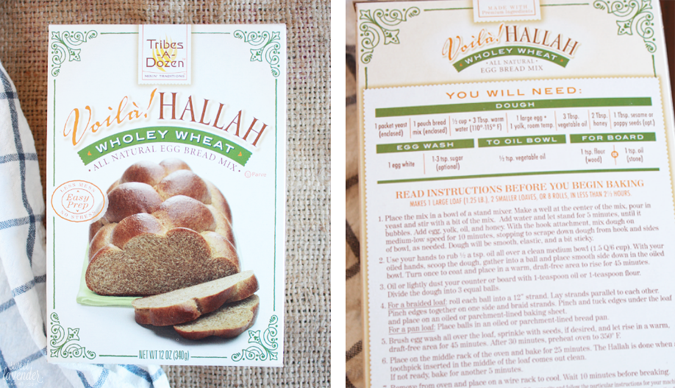 Enter Tribes-A-Dozen's Hallah Bread MIXES! Ummm what?! Yeah, totally. They've devoted themselves to making easy to do, easy to follow, bread mixes made with REAL ingredients. You know, right up my alley. 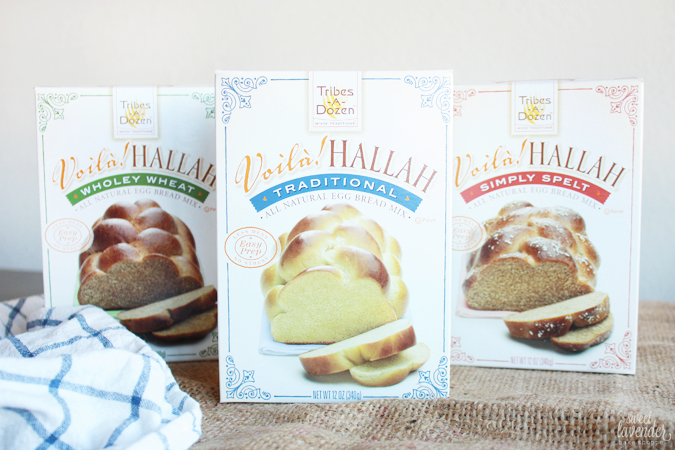 Tribes-A-Dozen is all about wholesome, all natural, kosher hallah (or challah bread, which is the classic egg bread) also referred to as barches, brioche, kalács, osterbrot, or simply, twisted bread. 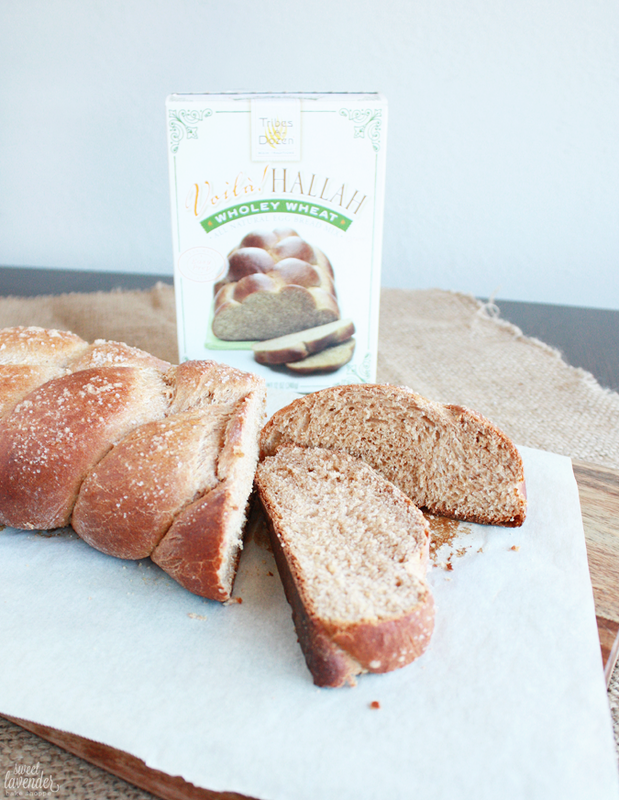 Hallah can be perfectly enjoyed on its own, as sandwich bread, or as the ultimate base for French toast or bread pudding. Tribes-A-Dozen believes in baking the kind of bread your great-grandmother used to make (if she handed down the recipe). 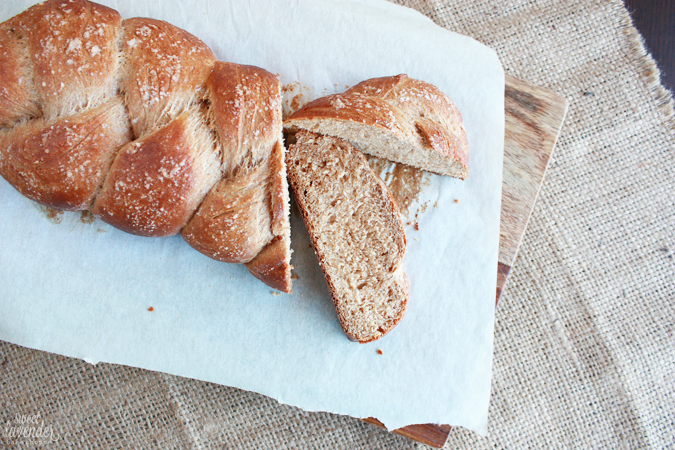 Whether you spell it "challah" or "hallah", you will love this mix. I couldn't wait to get my paws on the Wholey Wheat mix! I loved their ingredient list- organic whole grain wheat flour, brown sugar, turbinado sugar, sea salt and organic flavor. Best part though??? Their mixes needed things I already had in my pantry. Ahhh simplicity. The directions were easy to read, easy to follow and worked like a charm! 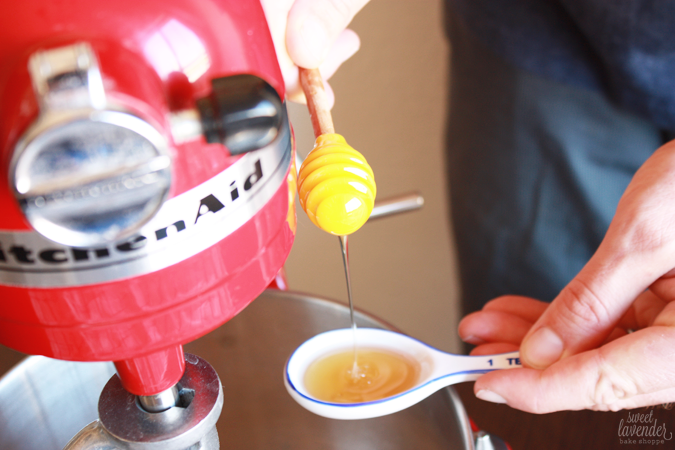 First we placed their bread mix and included yeast packet in the bowl of our stand mixer. 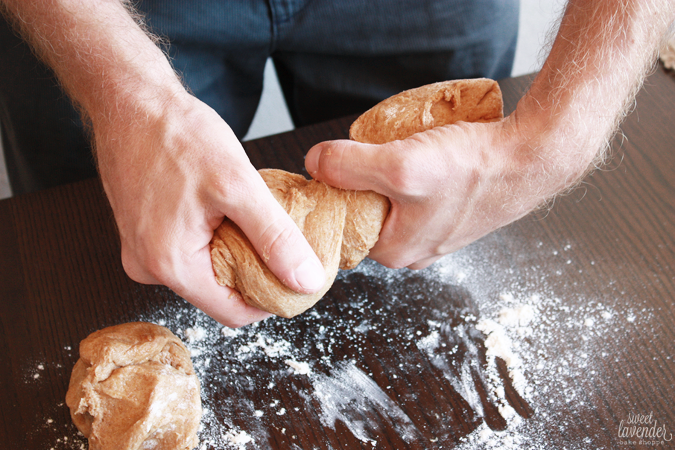 Using the stand mixer took the place of kneading and made things a LOT easier! 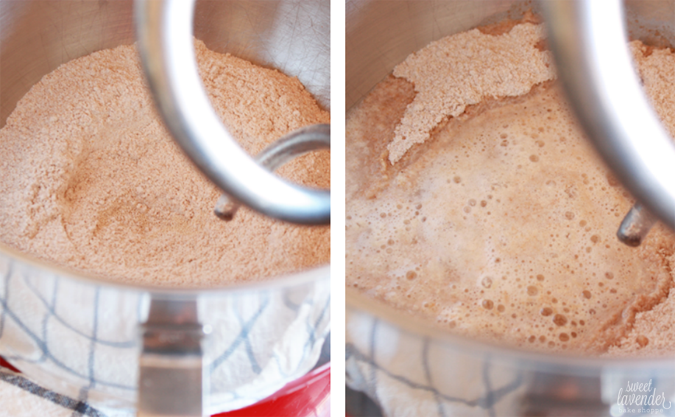 Next, we added the amount of warm water called for and within minutes watched as the bubbles and froth from the yeast formed. This meant the yeast was alive and fresh! In went the egg, egg yolk and honey and then it was a nice 10 minute mix with the dough hook. After 10 minutes we rubbed a little bit of oil over a clean bowl, scooped the dough out of the mixer, formed it into a ball, and allowed to sit in a warm area of our kitchen and rise (wasn't a problem- it was HOT that day!) for 45 minutes. This allowed us ample time to clean up, sit back and hang out until the next step! After 45 minutes our little ball of dough had risen and puffed nicely! 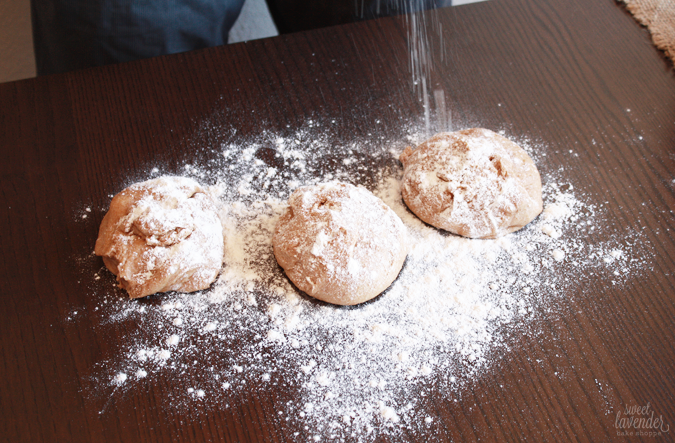 Then we lightly dusted our surface and divided the dough into 3 equal balls. 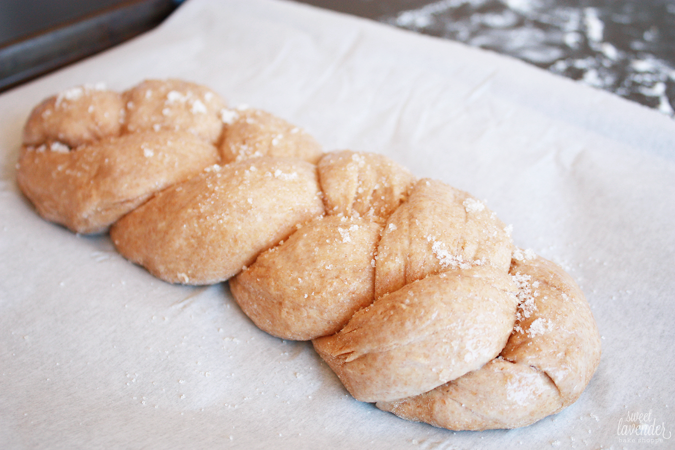 We decided to go with the braided loaf's instructions (versus the loaf pan) which meant we had to roll each ball into 12" strands, pinch and tuck the edges together and braid together. Easy peasy. Finally, we gently placed our braided loaf onto a parchment lined sheet pan, brushed the top with that remaining egg white from the lone yolk needed for the mix, and generously sprinkled the top with granulated sugar. It sat for another 45 minutes in the warm part of our kitchen before baking at 350°F for 25 minutes! Our house smelled amazing! The instructions told us to place on a wire rack and cool 10 minutes before breaking and eating. HA! We were in that sucker as soon as we could handle it. Like I said earlier, nothing like warm bread with melty butter. 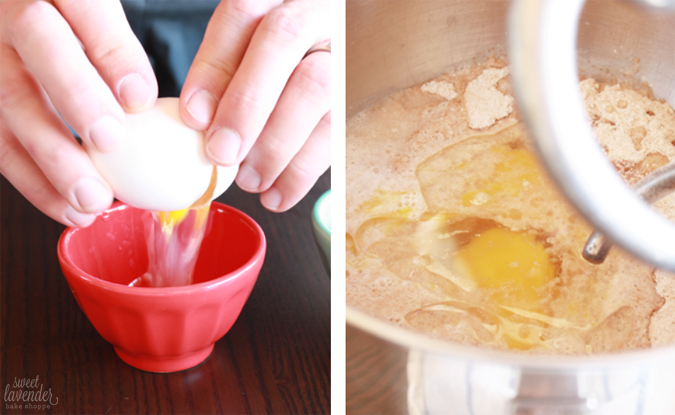 The slightly sweet, slightly chewy, crunchy topped, perfectly baked egg dough was incredible. The box also gives instructions for baking with a bread machine as well as mixing together by hand! 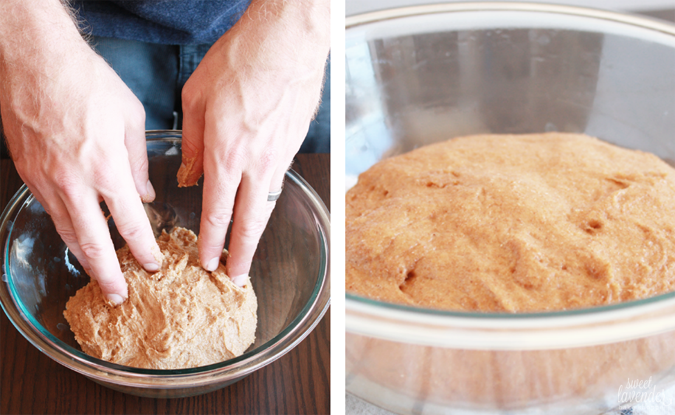 So no matter where you are, this bread mix will work! To find Tribes-A-Dozen Voilà! 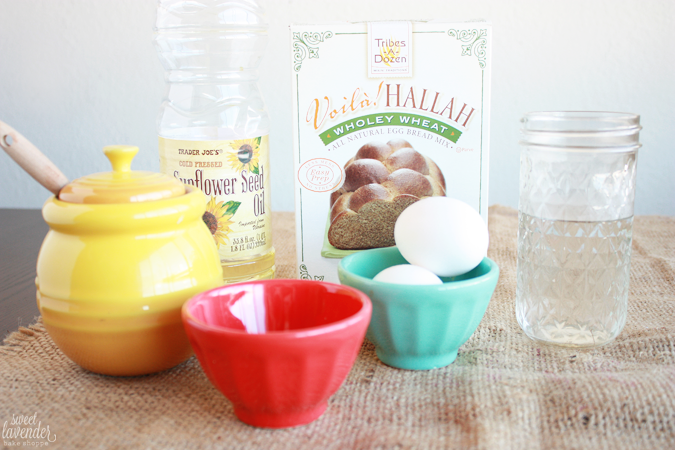 Hallah Egg Bread Mixes at stores near you, use the store locator. You can find your own boxes on the kosher shelf at 800 Walmart stores around the country, MOM’s Organic Markets, Giant Stores, Relay Foods (online grocer), and other Kosher and specialty food stores. Now for the fun part! One of my readers will get the chance to try out the exact same three bread mixes as I did (Simply Spelt, Traditional, and Wholey Wheat). Just enter using the Rafflecopter widget below. To enter, join the mailing list on on their website, like their Facebook page and follow them on Twitter and Pinterest. Continental U.S. entrants only. Previous winners of Tribes-A-Dozen giveaways are ineligible. Now for the small print: Tribes-A-Dozen provided me with free samples of the product to review. I was under no obligation to write a positive review. All pictures and opinions are my own. CONTEST OPEN TO US RESIDENTS ONLY. Contest will run for 7 days. Winner will be shown on this blog post upon being chosen AND will be contacted by Sweet Lavender Bake Shoppe via email. Winner has 24 hours to email back and claim prize before a new winner will be chosen. All prizes were graciously donated and shipped to winner by Tribes-A-Dozen. and you are so talented. i love bread. like i want it all the time! Woo I'm planning on winning!! :) and I'll let you taste all my breads! Spelt sounds yummy! 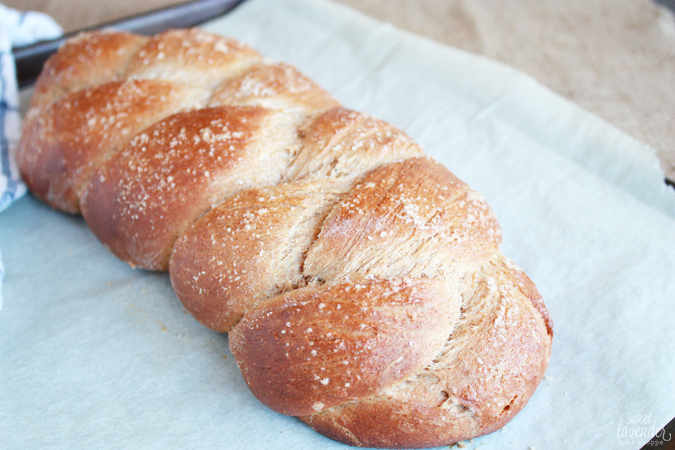 I love making homemade bread too! It's definitely quite the process. Interested in the Wholey Wheat. the bread looks super delicious! thank you for this giveaway! i am most excited to try out the wholey wheat and the traditional mixes! so fun! id love to try the spelt! I'm most excited to try the spelt mix. I've never used spelt. I am wondering how the whole wheat would be with sunflower seeds added! That's the last box I have to make. I'm kind of excited about it because I'm not too familiar with spelt! Yeah and these help that process go that much smoother! Wow, so many people are interested in the Spelt! That's so interesting- I'm not too familiar with the stuff. traditional! I just made bread today. homemade bread is just the best!